AVS promotes communication, dissemination of knowledge, recommended practices, research, and education in a broad range of technologically relevant topics. The Society conducts various local and national educational programs for engineers, scientists and technicians and supports numerous outreach activities aimed at teacher enhancement and student science awareness and education. Through these various outreach programs, AVS is able to share the collective individual expertise of its members with practicing professionals, students, schools, and science teachers. Each year the Professional Leadership Committee hosts several outreach events at the AVS International Symposium and Exhibition. Presentations from some of these events are available below. 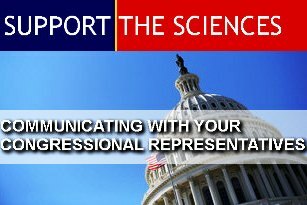 What: A concise message with personal stories on the importance of science funding and education to be shared with your elected public officials.